Barcelona is a city I’ve always wanted to visit but never had the opportunity to before (most of my childhood was spent in America, which I’m definitely not complaining about, but it’s just the reason for that). I’m glad I’ve finally been able to visit being older though as it’s great to be able to really appreciate such a beautiful city. Click on the headings of the following sections to view more of my photos than are shown here. 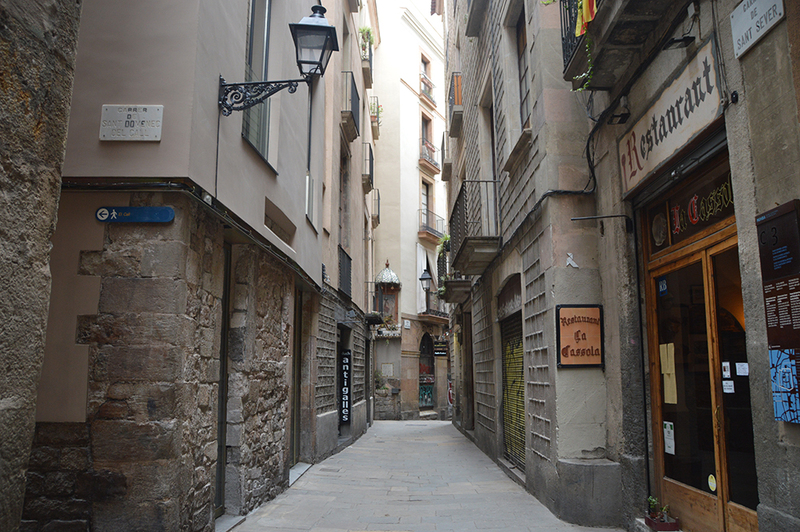 If you’re not interested in reading about Barcelona and just after photos, take a look at the following gallery here for my favourites! 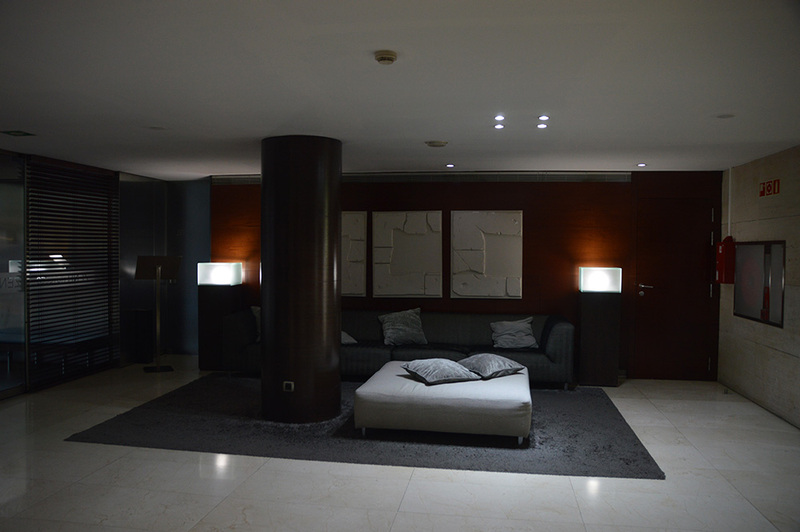 We stayed at Hotel Zenit Borrell, in the Eixample area. The room itself was pretty cosy but it was perfect for us, since we knew we’d be spending most of the time in Barcelona exploring the area! 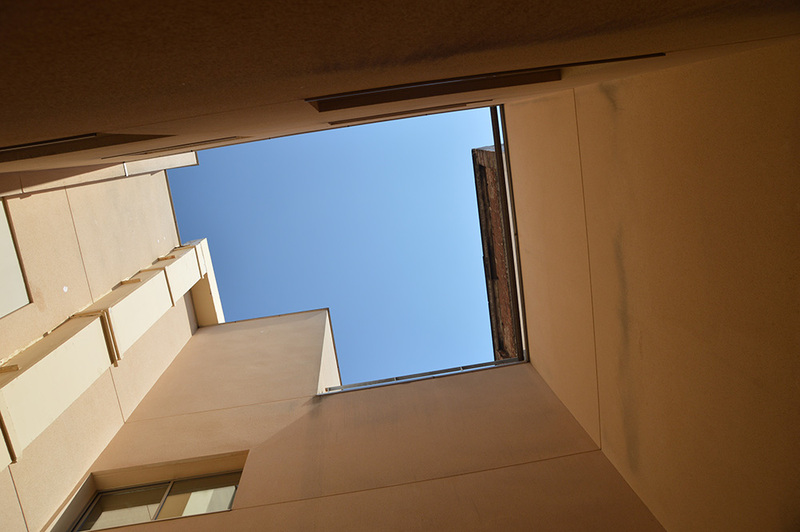 Our window was actually out onto a courtyard, but this made a fun game of ‘guess the weather’ before we looked up (and it made for a cool photo opportunity…). Everywhere around was beautiful though – the architecture on the majority of buildings is amazing. 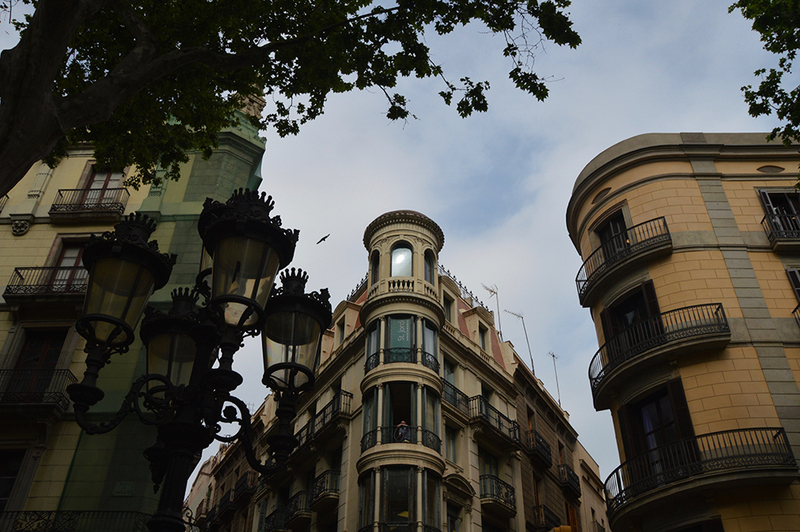 As mentioned, there are so many beautiful buildings in Barcelona. 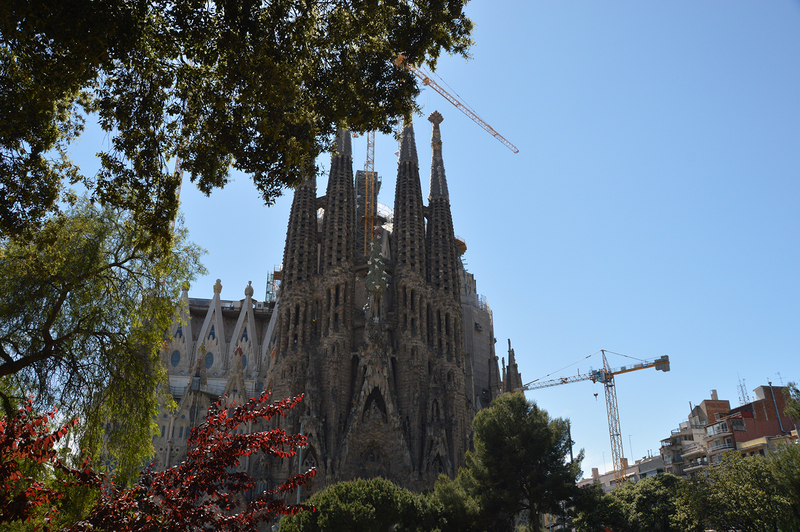 You don’t even need to visit somewhere like La Sagrada Familia as the streets are lined with amazing architecture (though I definitely still recommend you do, read on for that!). At the same time, you don’t have to travel far to find great statues either. 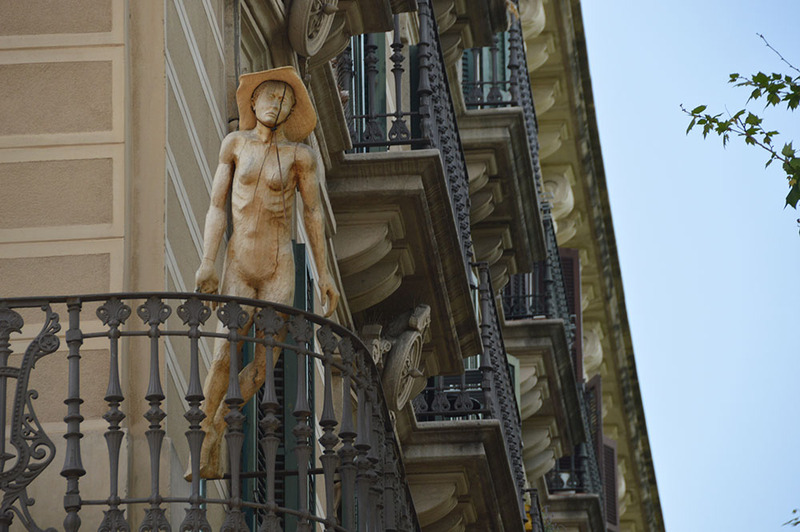 Some of these just hang randomly off buildings, but they’re fantastic and really reinforce how easy it is to appreciate works of art whilst in Barcelona! 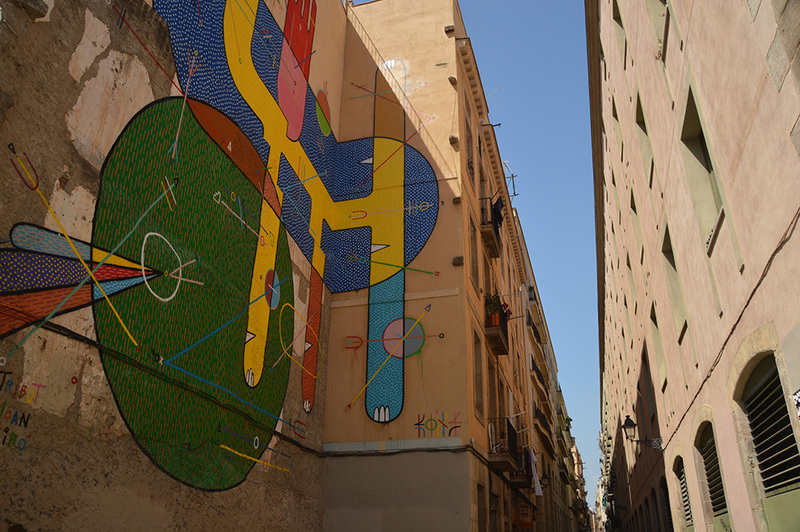 When walking around Barcelona, one of the biggest things that hits you is the amount of graffiti seemingly everywhere and anywhere. This goes one of two ways: there are plenty of shops with beautiful pieces of artwork on the shutters; but then again, the obvious general tagging also exists. I’m a strong believer that art is subjective, however I think that greater measures should be taken around important historical sites at least. I’m not talking about the extreme – as Egypt does with placing glass over most of the biggest sites (Aswan Dam is a major culprit of that!) – but maybe some more surveillance would help. There are so many pretty gardens brimming with works of art all around Barcelona, some may not be very large but it’s wonderful to see at least a little effort go into making the city look that little bit more special. 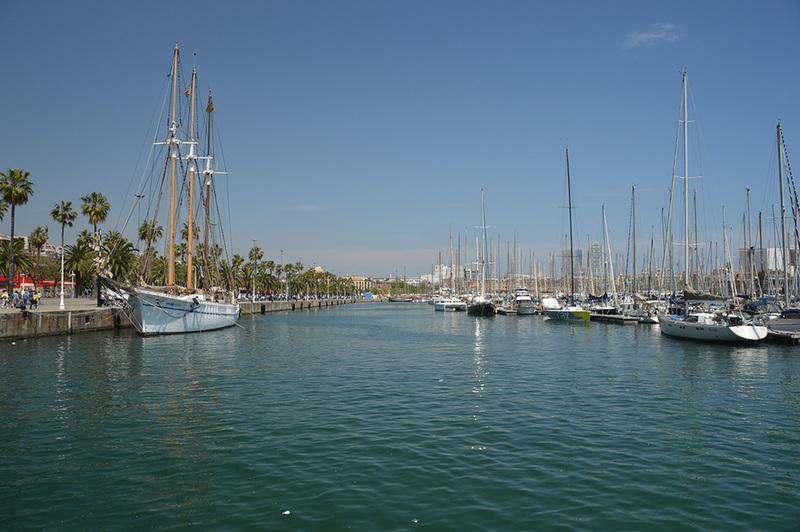 The marina of Barcelona is – as with most of Barcelona – full of great sights to see. 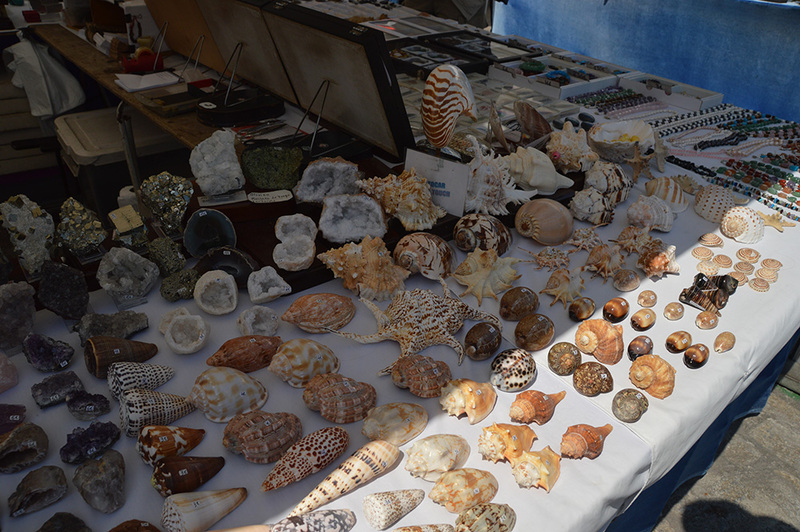 There are stalls lining the marina full of vintage and cool little keepsakes to purchase and then, on the water itself, there are buoys which are more like statues floating in the water. 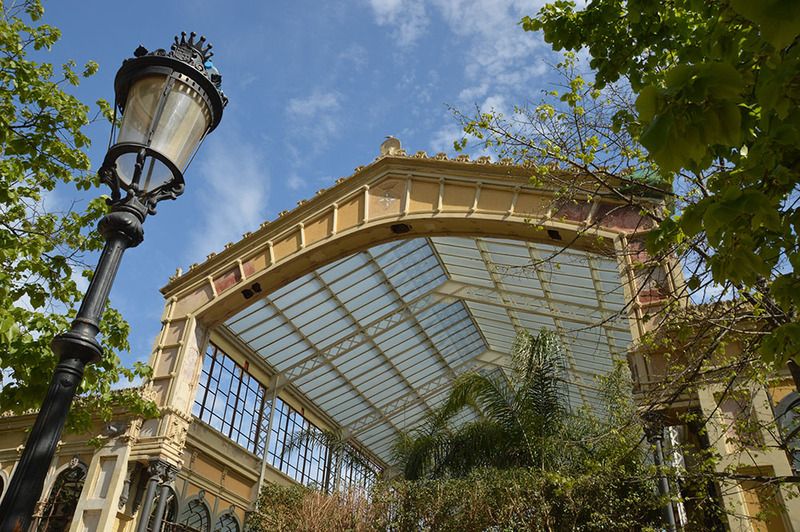 To top it off, there’s a large shopping centre called Maremagnum, with lots of high street shops, and an aquarium for something to do if you’re taking a family to Barcelona. 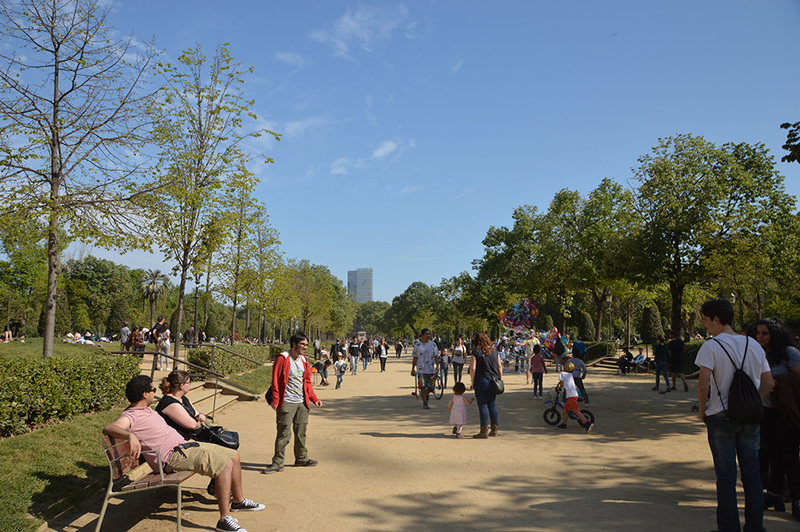 This park is a beautiful, lively, area full of the typical things you’d expect – people relaxing, children playing – and also beautiful scenery. 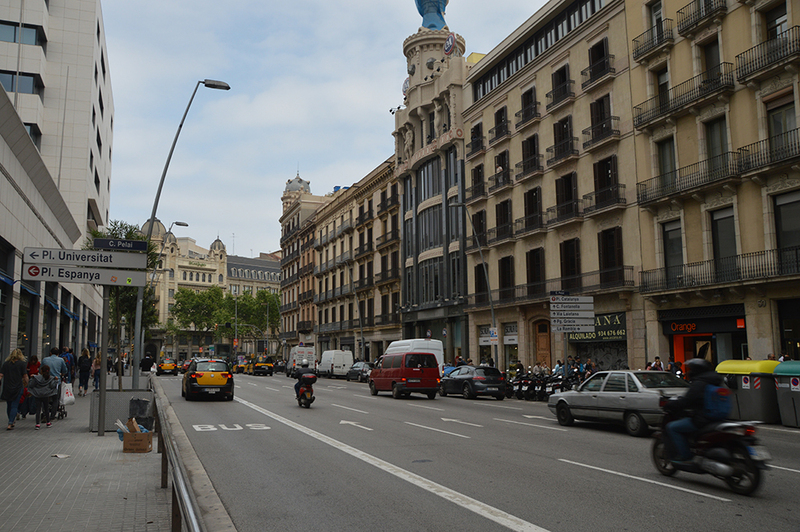 We passed through whilst heading to trying to find the Arc de Triomf… Still, it’s definitely an impressive area of Barcelona, and well worth a visit! 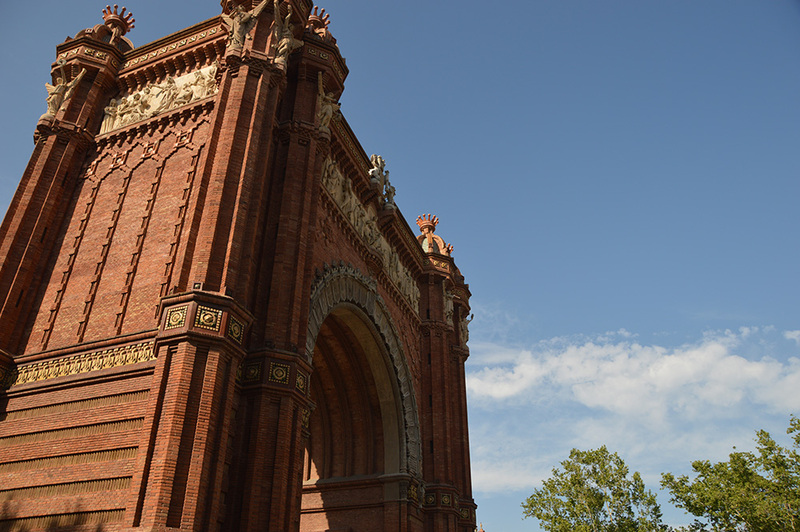 As with the Arc de Triomphe in Paris, the Arc de Triomf was built when Barcelona hosted the World Fair (in 1888). It’s a massive, impressive structure constructed from brick and stone, signposting the way to the Parc de Ciutadella which is where the World Fair had been hosted. 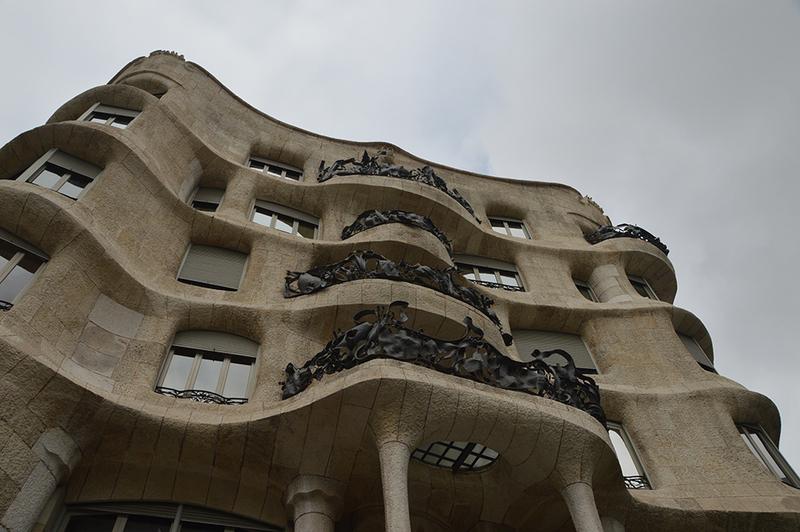 On the Passeig De Gracia, there aren’t just fancy shops but also two Gaudi attractions – La Pedrera and Casa Battlo. Unfortunately, we didn’t manage to go into them whilst we visited (we had done a lot of walking from Monday-Thursday), but the outsides were brilliant by themselves – true works of art. In terms of spectacular architecture, it’s hard to beat the Gothic Quarter. 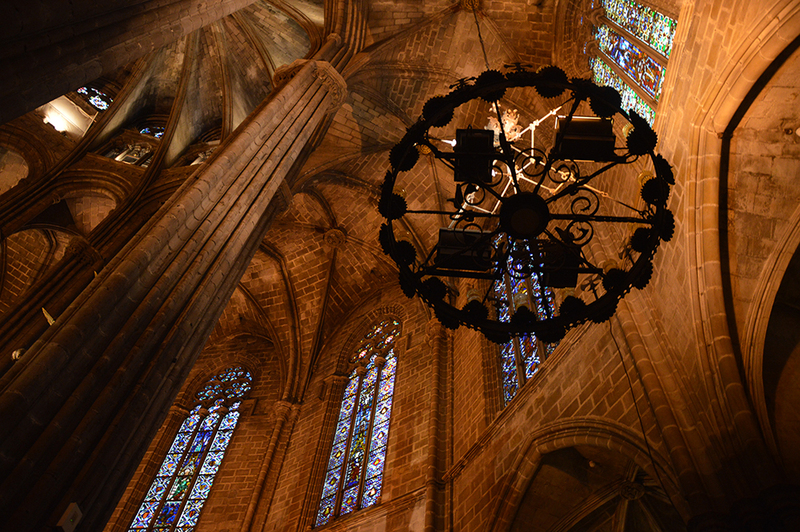 It contains both the ‘Catedral de Barcelona’ and ‘Santa Maria del Pi’, two truly amazing sites to see (regardless of whether or not you’re religious). 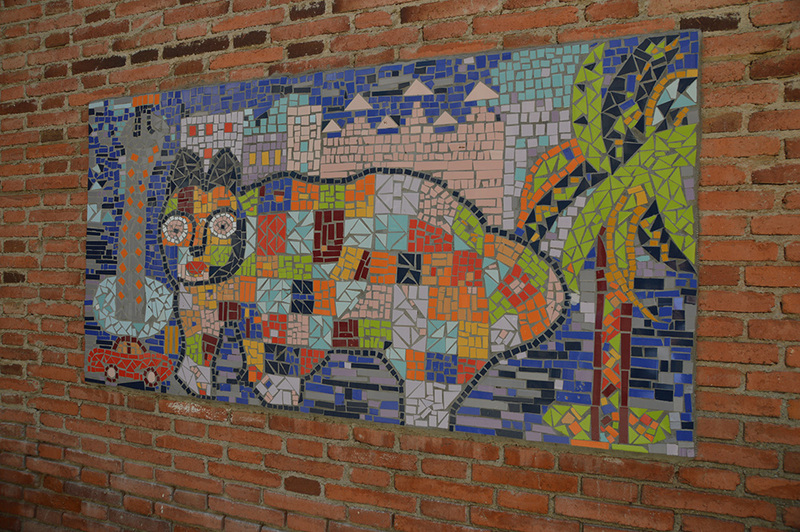 Along with this, the streets alone are mostly very small and full of intricate details. As mentioned, this little gem is found in the Gothic Quarter. Being just a short 5 minute walk from the Cathedral it’s worth a visit just to see the exterior alone. 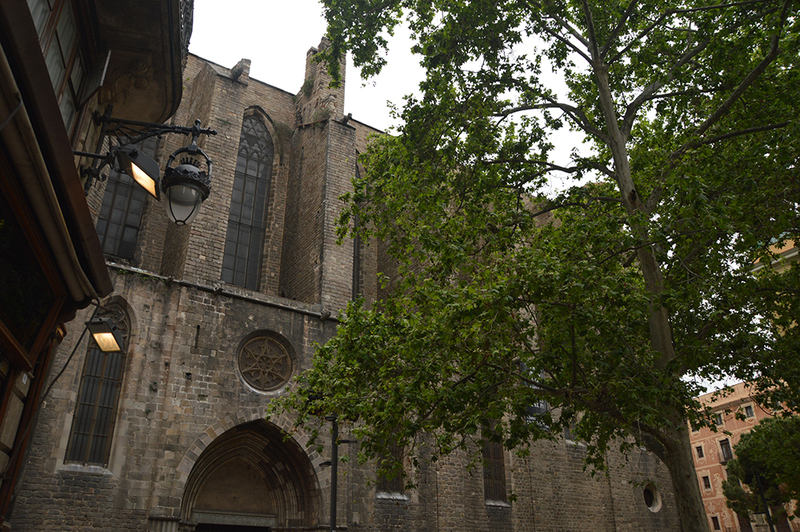 This cathedral is a definite must to visit if you’re planning to go to Barcelona. The inside alone is remarkable as there are lots of stained glass windows. 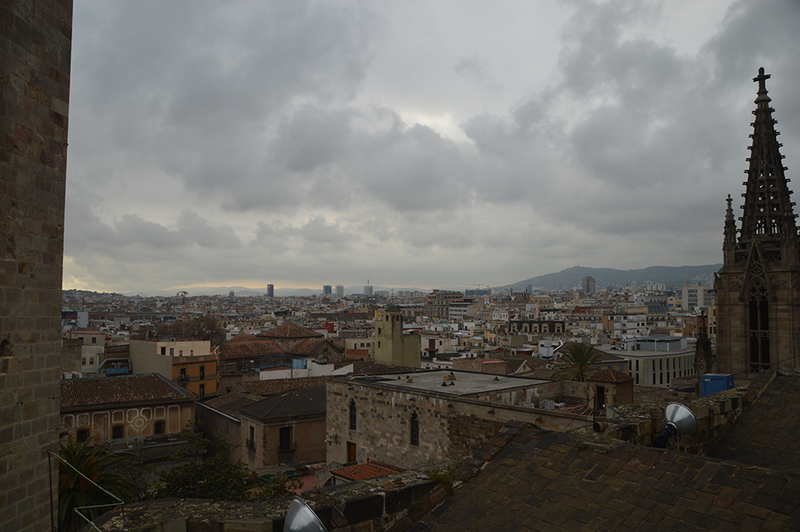 Another reason to visit this gem is the lift ride, for a mere €3 you can take the lift right up to the top for some great views of Barcelona (with the added bonus of feeling like you’re in an Assassin’s Creed game – minus the free running obviously). 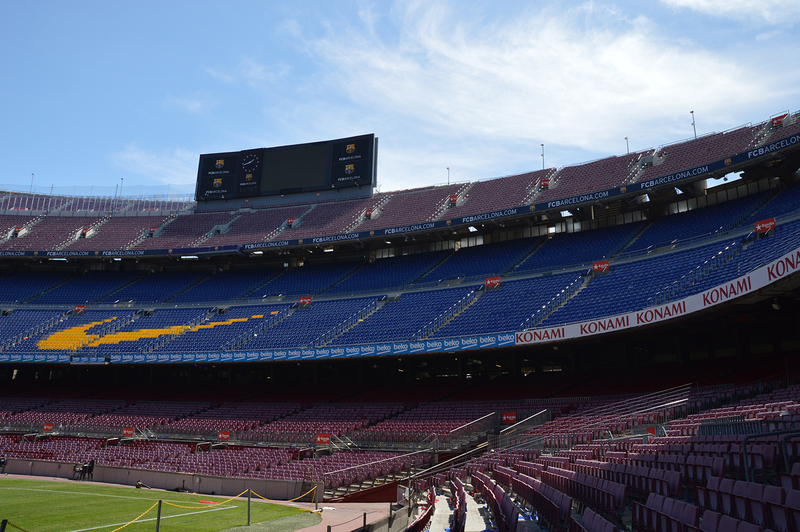 The stadium for Barcelona FC, if you’re a football fan/travelling with one (like me…) then it’s well worth a visit. 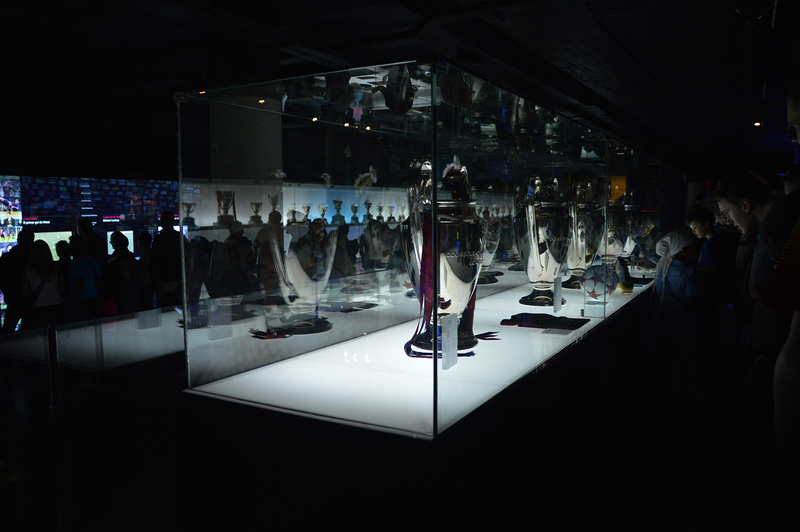 The Camp Nou experience involves a trip to the museum, which is cool even if you’re not a major football fan, and a huge tour around the actual stadium. This takes you from the stalls to the away changing rooms, from the press rooms to the pitch itself even. Oh, and you can buy grass from the pitch itself whilst on the tour (for €10/20, and no, I’m not joking! 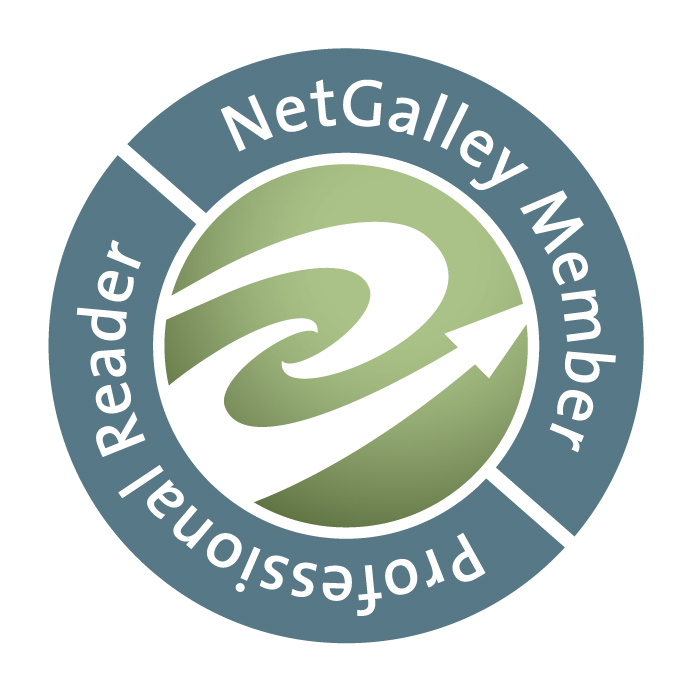 Take a look in the gallery by clicking on the heading). I may have saved the best for last with this one. 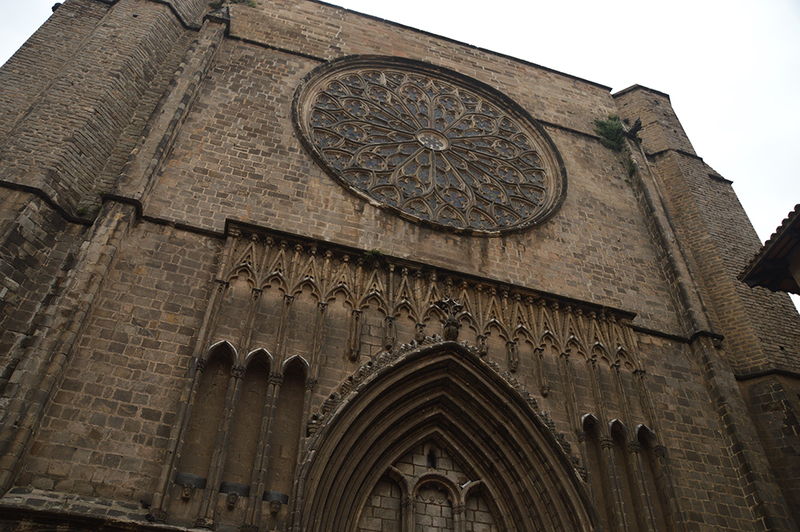 Well known as a major icon of Barcelona, it’s hard to put into words just how beautiful this church is. 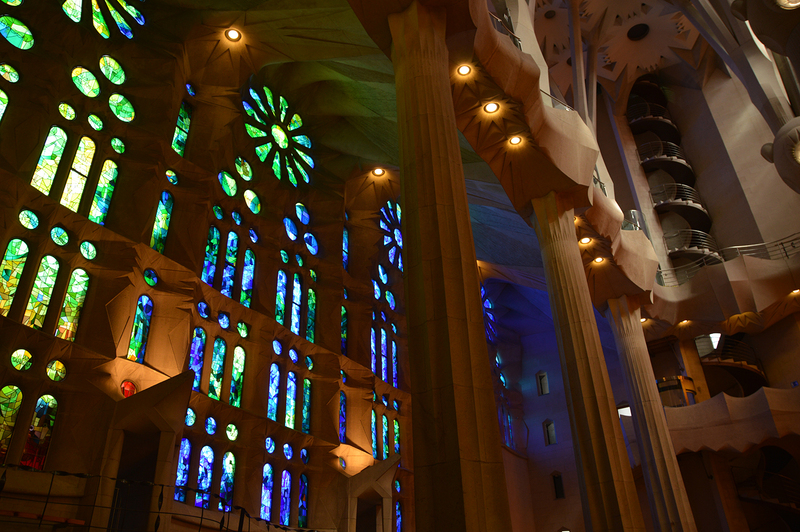 The exterior is a fantastic piece of Gaudi art, and the inside is brimming with colour thanks to the many stained glass windows. Visit when the Sun’s getting lower for amazing sights on the inside, we took this advice and booked it for 4pm and I’m so glad we did! Make sure you book tickets online too (they’ll scan your phone, don’t worry about printing them) as the queue is usually ridiculously long. Tip: Don’t spend the extra money on a lift up the tower. We went up the Passion side (with views of the city) and was slightly disappointed. When you arrive at the top, you have a small viewing bridge (with lovely bars all over it) and then you walk down 300 steps which has a nice little hole in the middle – not ideal for small children. The walkways were pretty claustrophobic too. 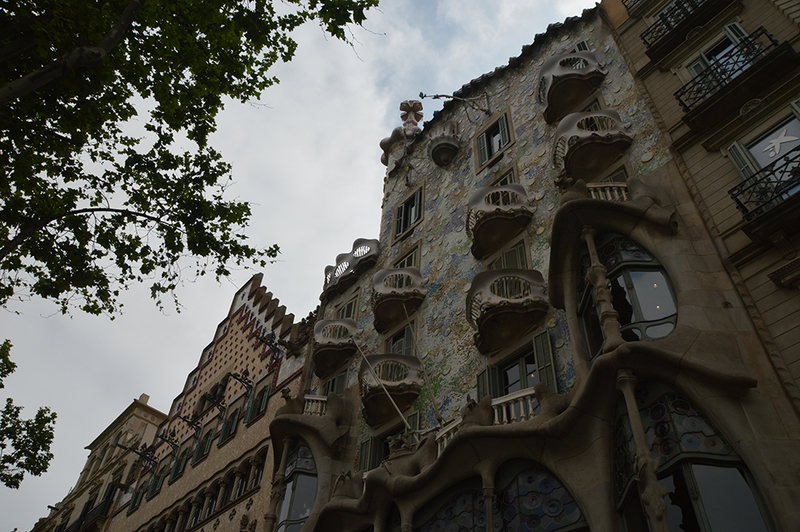 Basically, if you’re a fan or architecture or just art in general then you need to visit Barcelona! 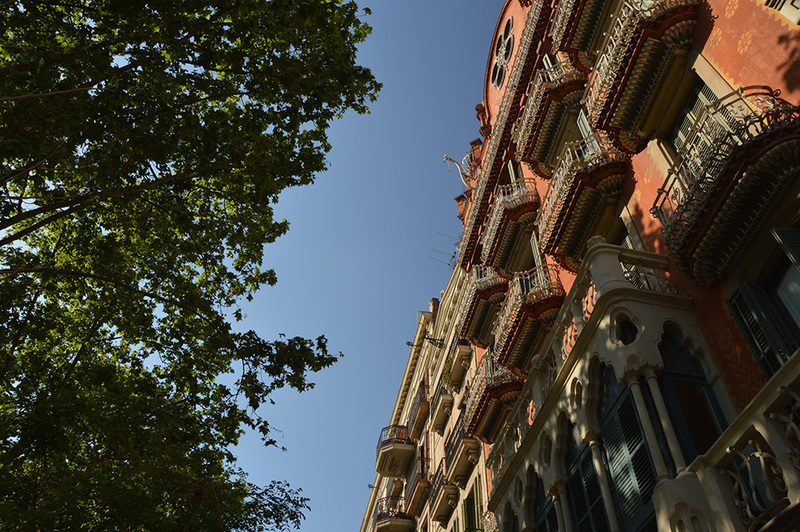 To see some of my favourite photos from the trip of all of Barcelona that we visited, take a look at the following gallery here.